Home is where your story begins, make it shine with beauty and order. 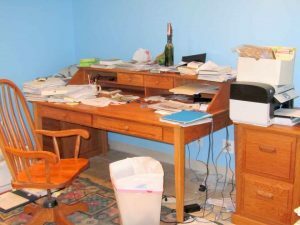 Do you need help eliminating clutter? 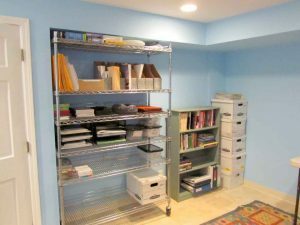 Do you need more space and don’t know where to find it? 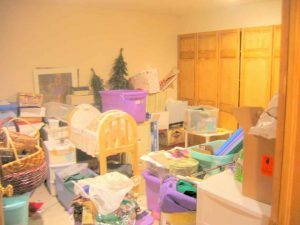 Can you find a room in your home that’s disfunctional due to disorganization? How about your linen closet? What does With Time to Spare offer homes? Simplify your home with a professional home organizing coach! Do you know what to keep and what to throw away? Being organized brings a balance of structure and creativity, and where there is balance, there is a peaceful energy to enjoy life. Done right, organizing is fulfilling and fun. Even a small amount of time invested can bring immediate benefits. We work together to discuss your goals and needs and then get to work! I teach you strategies to keep the space organized in addition to working with you to get things into place. These stories reflect common obstacles that each of us face. They were all completed within one day. A manager from Chicago heard me speak in Colorado Springs and hired me on the spot to fly to Chicago and organize his Wells Fargo staff plus his home office. 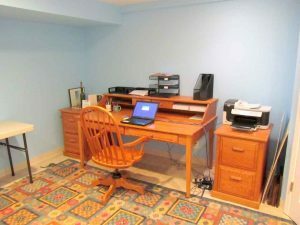 As you can see, he had no order to his home office so we went to work and turned his disheveled desk into a thing of beauty and order. Then across the room where his supplies were loosely strewn, we used organizing products (stackables, cardboard magazine holders, file boxes and a plastic shoe box) to bring order to his supplies. What a change! Home organizer tip #1: Organizational systems can make all the difference. 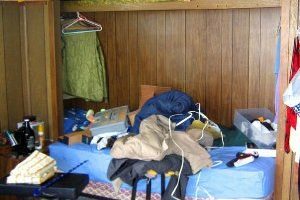 A 15 year old Colorado teen had his clothes and personal items strewn across his bedroom- a regular practice. His mother was at her limits, but the son admitted he didn’t know how to keep it tidy. He had never worked with a home organizer before and was nervous that I would throw away his stuff. Instead, we had a discussion and worked together to reorganize his room, which took about two hours. He had items he didn’t know where to put, so we installed a white shelving unit that doubled as an end table to save space and to create a bookshelf for important items. 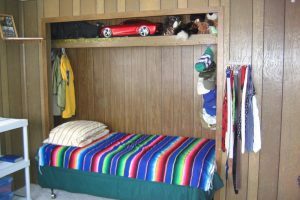 We also installed a hat rack over his bed so his numerous hats were visible and easily accessible. 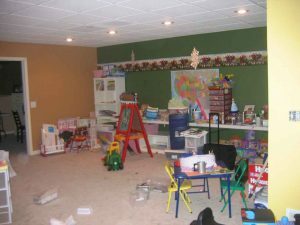 With understanding of where things went, plus systems in place to manage where things would “land”, he was able to keep his room tidy, without mom’s help! Home organizer tip #2: A few simple skills and functional furniture turned this teen from messy to neat. 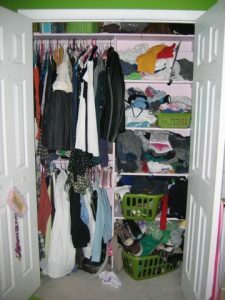 A young woman in Fairfax, Virginia was struggling with how to organize her room. 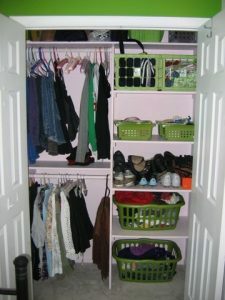 We spent the morning working together, a total of two short hours, to transform her closet to be usable and functional. First, we took everything out of her closet, got rid of clothes that didn’t fit or that she never wore or didn’t like anymore. We then put items back, using containers to hold the variety of items she had, such as sweaters, belts, scarves and more. Many times, when we don’t know where things belong, we simply throw them wherever it is convenient and then we end up with clutter. By creating a place that is easy for us to access, we can create order out of chaos. 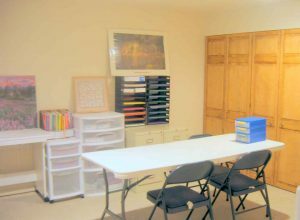 As a home organizer, I believe it is my role to help declutter but also educate you regarding methods for success in keeping organized. Home organizer tip #3: Keeping things simple is the key to organization. Some kitchens (and pantries) are not designed with modern day needs in mind. As busy people, we want to plan and prepare meals quickly and easily. 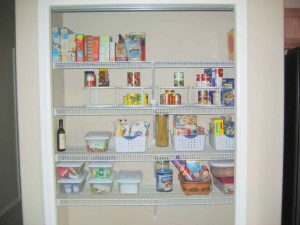 I was called into a home with a pantry that was overfull and not functional. Actually this client was quite fortunate in that she was moving to a brand new home so it was a snap to take all of the food from the old pantry and organize it in her new pantry. We installed double turntables for canned goods and open baskets for other items such as flour and sugar, making everything within reach. 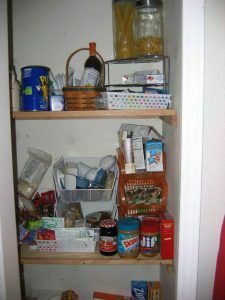 Items that were used less often where stored in a pantry in the basement, creating additional room in the pantry so items didn’t need to be stacked on top of themselves. Home organizer tip #4: Use organizational tools to recapture space and function. A mom in Nebraska was homeschooling her two children but was having difficulty getting her lesson plans written and accessing the tools she needed for teaching. 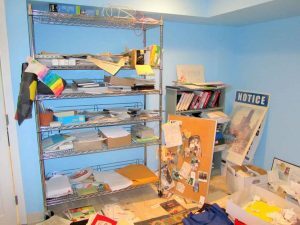 A disorganized work area can clutter your mind as well. 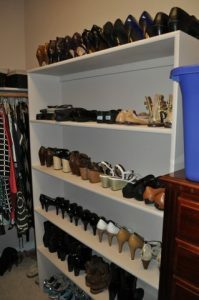 To help this mom, we brought in a shelving unit and dressed it with plastic bins and drawers labeled with the contents. Mom’s stress decreased and so did the children’s as they could learn in a more organized and structured environment. Home organizer tip #5: Reduce clutter, reduce stress. 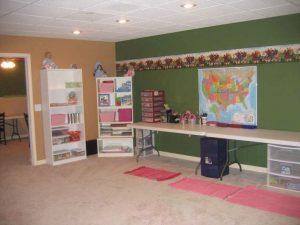 A woman in Virginia wanted a room for herself, but not just any room, a craft room. She had an extra room in the house, but it was being used for storage and she had no idea where to put all that stuff. We began by sorting through the items in the storage to determine what she wanted to keep, donate or throw away. Some of the items worked well in other rooms, so we moved them. With the recaptured space, we began to create organization for her craft items. We used inexpensive stackable units to house papers, catalogues and supplies. We found drawers for pens brushes and paints as well as other supplies. By the end of the afternoon, all of her crafts were easy to see and accessible and she had the craft room she had always wanted. Home organizer tip #6: Recapture space in your home to repurpose it for your needs. Sue provided a beautiful balance as she continually provided positive encouragement while firmly pressing on the underlying issues and causes of my disorganization. This, I believe, is creating a change of mindset regarding all my living spaces and habits. I understand now how clutter is not just a physical state, but it reflects and affects our souls. I appeal to all potential clients: do not underestimate the value of a physically present coach to get your spaces organized. It usually just takes someone to come alongside and affirm that decision that five casseroles, or 50 boxes of tea, or 30 screwdrivers is excessive. Just knowing how or wanting to be organized doesn’t make it happen. We all “need a little help from our friends”. And that’s the icing on the cake. Sue arrives as an experienced professional home organizer but she always leaves as a friend. Sue, you are such an encourager! Thanks to you, I continue to organize my home. Putting everything in containers has been wonderful and removing clutter has been great, too. Old magazines are gone. I loved them but they were too much trouble to keep and took up too much of my valuable space. The order you helped bring to my life allows me to spend more time with family and friends. Larry had even organized all his tools! Now we have so much extra room. 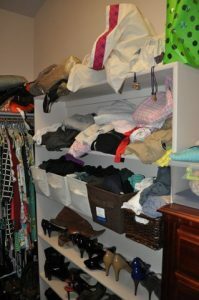 We are amazed by the benefits of purging, using containers and reorganizing. Three hours with Sue literally changed my life. She had almost immediate insight into how I lived my day-to-day life and the best way to make my home space work for me. Since our appointment months ago, I have easily implemented her organizational plan and have never looked back. She’s shaved hours off my cleaning and meal preparation every week. Thanks Sue!